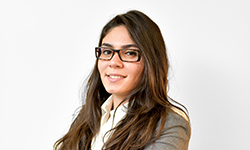 Upon obtaining her LLB from Ain Shams University’s School of Law in 2009, Dina joined the firm in 2012. Dina specialises in corporate & commercial law as well as intellectual property law. Dina has handled many cases of trademark disputes and succeeded in negotiating successful deals for our clients in controversies over major trademarks. She also does legal translations from Arabic to English and vice versa. Dina is a member of the Egyptian Bar Association, International Trademark Association (INTA), Association Internationale Pour la Protection de la Propriété Industrielle (AIPPI) and the Egyptian Association for Protection of Industrial Property (AEPPI).